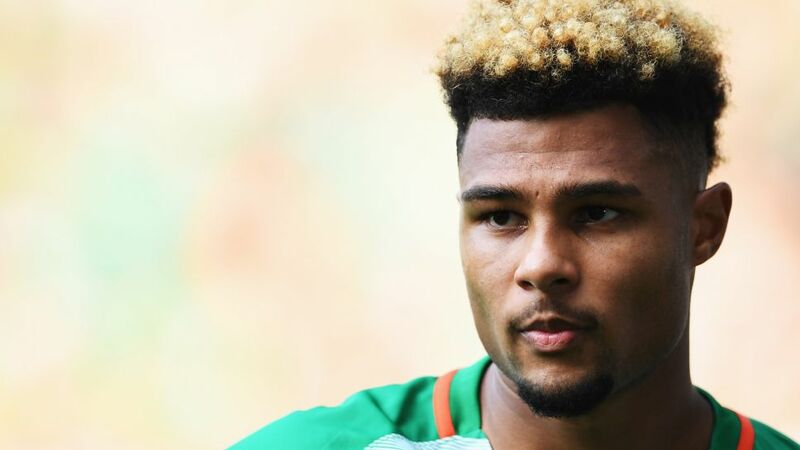 Serge Gnabry will leave Werder Bremen at the end of the month after activating a release clause in his contract, both the player and the club have confirmed. The 21-year-old attacker joined the Green-Whites from Arsenal last summer and scored 11 goals in 27 Bundesliga matches to help his new team surge to eighth in the table. Gnabry said he would reveal more about where his future lies at a later date but that, whatever happens, Werder would remain dear to him. “Werder Bremen really are a special club and exceeded all my expectations,” Gnabry wrote in a message to supporters on Twitter. Werder sporting director Frank Baumann said in a press release that the player had recently told the club that he wanted to move on. “Serge informed us that after his first year with Werder, which went very well for him, he would like to take the next step in his career,” he said. Ten of Gnabry’s goals for Werder came away from home and he played his part in the club's 11-match unbeaten run in the second half of the season. He had combined to great effect with Werder top scorer Max Kruse and Green-Whites manager Alexander Nouri said he will be sad to see him go. “Of course it’s a pity that an absolutely top player like Serge, whose progress has been phenomenal and who helped the team hugely with his outstanding performances, is leaving us,” Nouri said. Gnabry’s form at club level last season also resulted in a first call-up to the Germany senior squad and he scored three goals on his debut in an 8-0 win over San Marino in November.